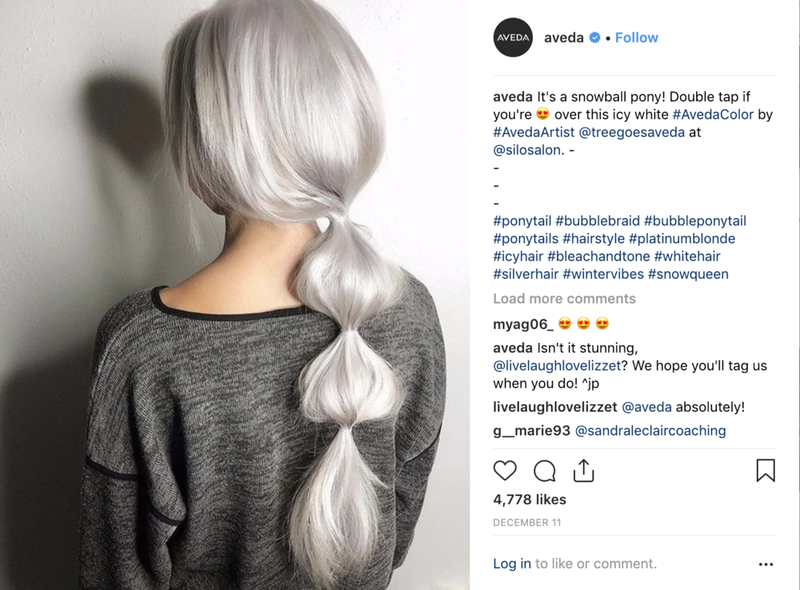 AVEDA Instagram featuring hair color from Silo Salon. Silo Salon attends Aveda Congress 2018 with over 4500 Aveda Artists globally attending. We 💚 we’re part of a bigger mission that cares for the world we live in and the guests we see in O U R salon! We had the privilege of having Aveda Educator Susan Ford in our salon. With every profession, there’s much more to learn and perfect. Ours is consultation, communication, body position, hair texture, head shape, technique, and updated trends - because we honestly care about your hair outcome! Never stop perfecting your craft because there’s always more to learn. AVEDA Instagram featuring hair color from Silo Salon for Earth Month. AVEDA Skin Care Class by Aveda Artist Jasmine Seuling. AVEDA Instagram Challenge Winner, Alexa Frank from Silo Salon. Outfit made out of Aveda hair color boxes for the Aveda Catwalk for Water - it is now displayed in the heritage center as part of the "Green Revolution" display. Aveda Catwalk for Water fundraiser for Earth Month. All dresses for the runway were made out of recyclable items. Proceeds went to the North Dakota Audubon Society.